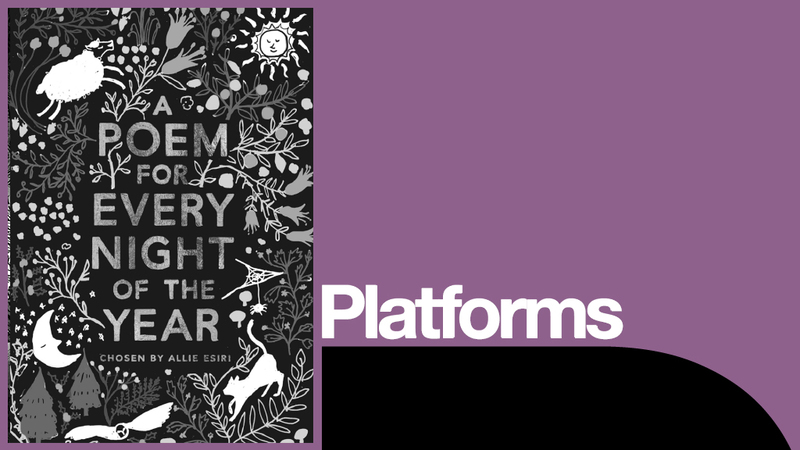 Allie Esiri’s anthology is a journey through a calendar year, highlighting key moments and dates with a poem for every night, by writers such as Maya Angelou, Robert Burns and Benjamin Zephaniah. Allie returns in 2017 with A Poem for Every Day of the Year. A fabulous evening of readings of some of the joyous, magical, dramatic and humorous poems in this journey through history and human experience. With guest readers Kate Duchêne, Hattie Morahan, Giles Terera and Samuel West. Allie Esiri is the curator of live Poetry Corner events at literature festivals such as Cheltenham and at the Soho Theatre, creator of the iF Poems and The Love Book poetry apps, and editor of the poetry anthology, iF: A Treasury of Poems for Almost Every Possibility. This event is followed by a booksigning of A Poem for Every Night of the Year.